Bill Hoffman speaks to the Beautification Council about urban design. Bill Hoffman will give a talk, Trends in Urban Design: Best City Practices, at the Laguna Beach Beautification Council 6 p.m. meeting Thursday, April 26 at the Montage Resort, room 225. Hoffman, a local resident and urban planner, will discuss the best examples of urban design being used to make cities vibrant and livable, while fostering community. 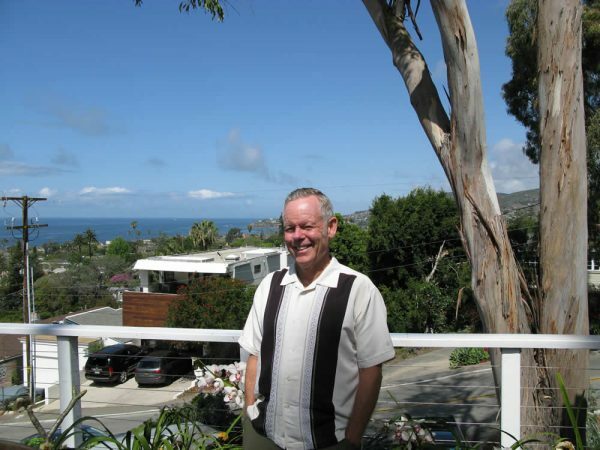 He played a role in a historic preservation overlay zone in Los Angeles. Free valet parking is provided by the Montage, 30801 Coast Hwy. Tickets are on sale for the 46thannual Charm House Tour, which takes place Sunday, May 20, in Bluebird Canyon. Tour busses leave from the Festival of Arts, 650 Laguna Canyon Rd. continuously from noon until 3 p.m. for the self-guided walking tour of homes. Parking across the street is suggested. Tickets of $50-$60 can be purchased by sending a check to: Village Laguna Charm House Tour. P.O. Box 1309, Laguna Beach, 92652 or online using PayPal at: villagelaguna.org/charm-house-tour. Charm Tour participants should expect a stop at Bluebird Farm. 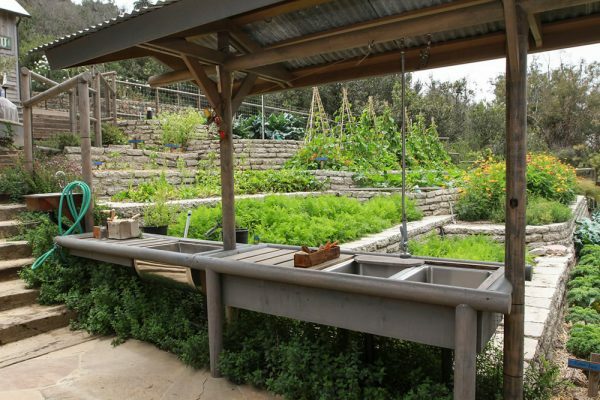 The highlight of this year’s tour is Bluebird Canyon Farm, an organic garden set on a hillside, with ocean views. Tickets are also available at various vendors including Laguna Beach Books, Fawn Memories, Copy & Print Center, Ego Salon and Cottage Furnishings. The tour is not open to children under 12 and is not handicap-accesible. Proceeds benefit Village Laguna, whose mission to preserve village character includes financial support for political candidates. Join your neighbors and personnel from the Laguna Beach Police Department for coffee, doughnuts and conversation at Laguna Beach Cyclery, 240 Thalia St., Sunday, April 22. Take the opportunity from 8 to 10:30 a.m. to ask questions and voice concerns. Chad Markley and Kristen Howerton, leaders of Beer and Hymns OC, the group that conducts sing-alongs in Costa Mesa, will bring toe-tapping hymns to Laguna Beach United Methodist Church, 21632 Wesley Dr., at the 10 a.m. service Sunday, April 22. They also will perform during a BBQ following the service, both without beer. During Sunday school, children will recognize Earth Day as they are led on a short nature walk by local ecologist and youth director Jen Kucera Rothman. The City Council is accepting applications from citizens willing to play a role in making recommendations to elected officials about arts, emergency disaster preparedness, housing and human services and planning. Residents should obtain an application from the city clerk’s office and file it by 5 p.m. Friday, April 20. For additional info: call Lisette Chel-Walker at 497-0705. Interviews and appointments will be conducted at 6 p.m. on Tuesday, May 1 by the City Council during the regularly scheduled meeting. The city’s actions to refuse to reject California’s sanctuary law, SB 54, will be under discussion by Laguna Beach Republicans, who meet at 5 p.m. Wednesday, April 25, at Mozambique restaurant. President Emil Monda invites all Republicans, independents and libertarians to attend the meeting. “We will also discuss the possibly misleading methods the city of Laguna is using to promote its efforts to underground utilities,” he said. The Newport Beach Film Festival needs film loving volunteers for its 19th annual celebration of cinema running Thursday, April 26 through Thursday, May 3. Volunteer positions include: guest relations, merchandise sales, media relations, theater ushering, event production and office reception. Volunteers can still attend the final hour-long mandatory orientation meeting Saturday, April 21, at 3 p.m. at the Newport Community Center, 6401 San Joaquin Hills Rd., Newport Coast. Volunteers will have the opportunity to ask questions, sign up for specific shifts and receive tickets at a discounted price. More info: www.NewportBeachFilmFest.com/Volunteer. Cho’s Academy begins Fightcamp Fit, a new fitness boot camp modeled after a professional fighter’s training regimen, starting Monday, April 23. Participants will be able to train like a fighter to forge gains in strength, endurance, speed, and flexibility, said founder Jacob Cho in an announcement. Classes will include bodyweight exercises, kettlebell workouts, functional movement drills, kickboxing techniques, and yoga. Sessions run Monday, Wednesday, and Friday at 6:15 a.m. April 23 to June 1. Classes will be taught by seasoned pros Brian Olson, Erik Van Der Lee and Tiffanie Bederman, respectively. To celebrate Earth Day by making a tangible impact, thousands of Californians of all ages volunteer with the California State Park Foundation each year. Clean-up efforts get underway at 9 a.m. Sunday, April 22, at Crystal Cove and Doheny state parks, a foundation statement says. The annual clean-up helps state parks complete projects that would otherwise not get done. 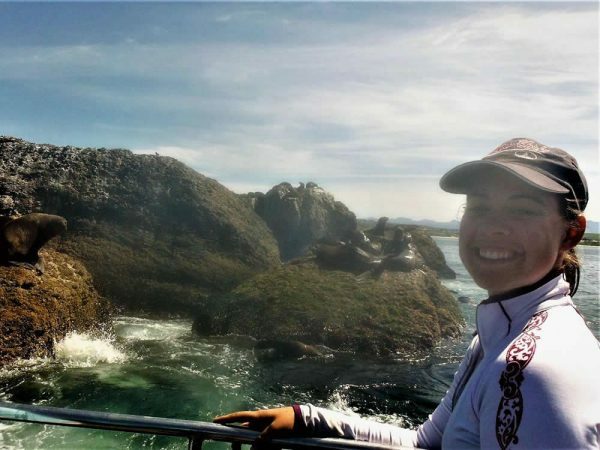 Biologist Megan Peterson, of the Ocean Institute in Dana Point, describes how people’s conscious choices can make a difference in reducing plastics in the ocean in a 10:30 a.m. talk at the Unitarian Universalist Fellowship Sunday, April 22.